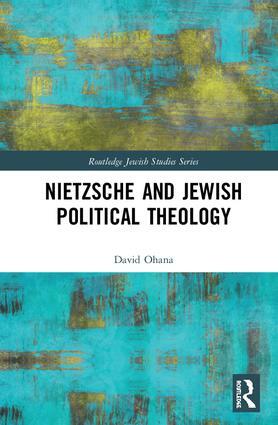 Nietzsche and Jewish Political Theology is the first book to explore the impact of Friedrich Nietzsche’s work on the formation of Jewish political theology during the first half of the twentieth century. It maps the many ways in which early Jewish thinkers grappled with Nietzsche’s powerful ideas about politics, morality, and religion in the process of forging a new and modern Jewish culture. The book explores the stories of some of the most important Jewish thinkers who utilized Nietzsche’s writings in crafting the intellectual foundations of Jewish modern political theology. These figures’ political convictions ranged from orthodox conservatism to pacifist anarchism, and their attitude towards Nietzsche’s ideas varied from enthusiastic embrace to ambivalence and outright rejection. By bringing these diverse figures together, the book makes a convincing argument about Nietzsche’s importance for key figures of early Zionism and modern Jewish political thought. The present study offers a new interpretation of a particular theological position which is called "heretical religiosity." Only with modernity and, paradoxically, with rapid secularization, did one find "heretical religiosity" at full strength. Nietzsche enabled intellectual Jews to transform the foundation of their political existence. It provides a new perspective on the adaptation of Nietzsche’s philosophy in the age of Jewish national politics, and at the same time is a case study in the intellectual history of the modern Jewry. This new reading on Nietzsche’s work is a valuable resource for students and researchers interested in philosophy, Jewish history and political theology. 1. "It would be a good thing if the god of Zarathustra were the God of Israel"
5. "It came over me like a revelation"
David Ohana is a full professor of History at the Ben-Gurion University of the Negev, Israel. He is a senior fellow at the Jerusalem Van Leer Institute, where he founded and directed the Forum for Mediterranean Cultures. His affiliations have included the Sorbonne, Harvard, Berkeley, and the École des Hautes Études en Sciences Sociales, Paris.